But how healthy is Greater Yellowstone today and what is its prognosis looking ahead? The first comprehensive examination of that question was just published (August 2018) in the scientific journal EcoSphere and it focuses on 35 key “vital signs” ranging from snowpack and rivers (water) to forests, fire, wildlife and aquatic species such as fish. Like a patient that feels fine and looks fine, especially to the untrained eye, Yellowstone National Park and its neighbors appear vigorous and immortal yet the region is coming under the influence of serious stressors. Hansen and Phillips point to a paradox involving simultaneous forces that, if left unaddressed, will result in one dramatically negatively affecting the prognosis of the other. 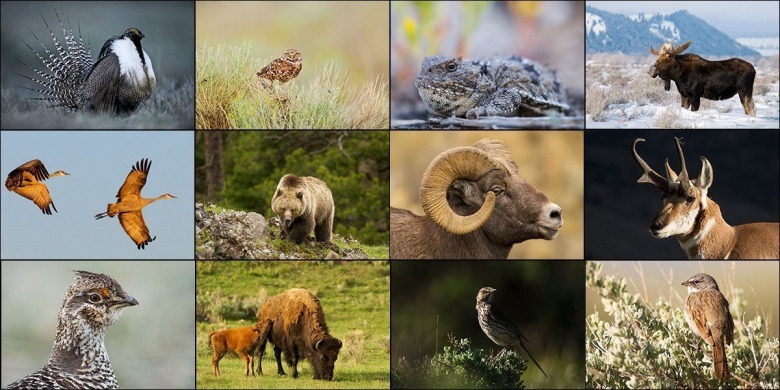 While large mammal population—from migratory ungulates (such as elk, deer, pronghorn, moose and bison) and grizzly bears and wolves have increased in number and are expanding their range from their historic human-caused lows, it is set against a backdrop of gigantic trends occurring on the landscape level. “…changes in land use and climate have reduced snowpack and stream flows, increased stream temperatures, favored pest outbreaks and forest die-off, fragmented habitat types, expanded invasive species, and reduced native fish populations,” Hansen and Phillips note. 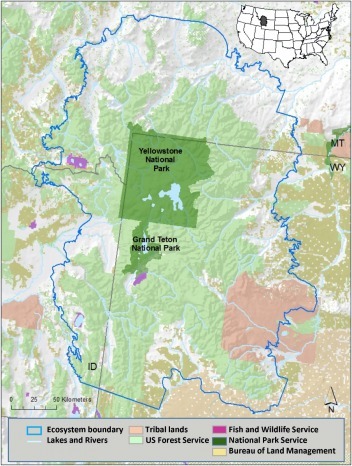 While Greater Yellowstone’s categories of public lands with the highest level of protection—Yellowstone and Grand Teton national parks and surrounding federal wilderness areas—continue to function as important refugia for wildlife, especially during seasons of greenup, that is not the case in low elevation valleys providing critical winter habitat. Most of the lower elevation valleys, which connect public lands in the mountains and flank rivers, are privately owned. All of these species to varying degrees will have their range and distribution affected by climate change and development. Hundreds of others could be added to the roster of impacted animals. “On private lands, in contrast, vital signs relating to snow, stream flow and temperature, river condition, native fish, and wildlife habitat were rated as deteriorating,” they conclude. In the paper’s abstract, it says, “The Earth's remaining tracts of wildlands are being altered by increased human pressure and climate change. 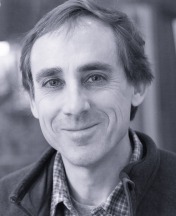 Yet, there is no systematic approach for quantifying change in the ecological condition of wildland ecosystems.” Between 1993 and 2009, the footprint of humanity, which already had resulted in wild places being relegated to merely a fraction of the land mass that started the 20thcentury, expanded by 9 percent globally. “Even within designated protected areas, wildlands are being reduced due to downgrading, downsizing, and degazettement. Currently, 33 percent of the global protected area coverage is under intense human pressure,” the EcoSphere article notes. 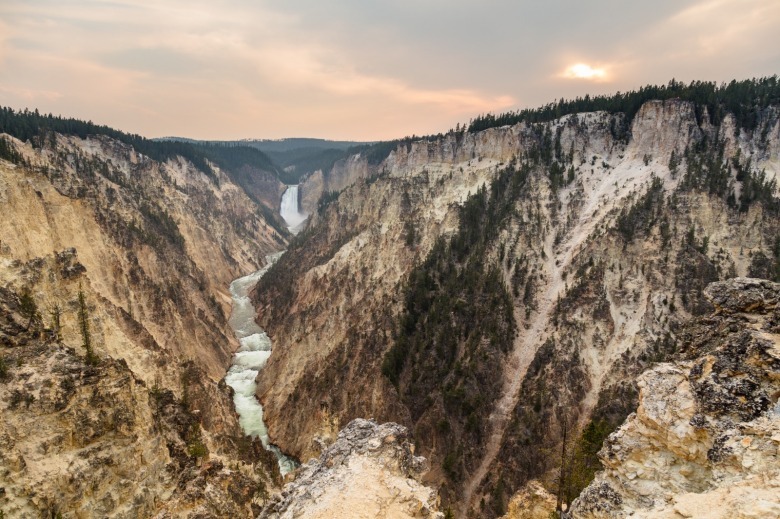 Hobbling the ability of leaders in Greater Yellowstone to think cohesively in ways that transcend political and administrative boundaries is a lack of sophisticated and sustained monitoring. The Greater Yellowstone Coordinating Committee has been in existence for several decades but there is no collaborative or complementary equivalent involving the 20 counties in Greater Yellowstone or the municipalities, which play crucial roles in shaping the health of the public land base. This is not mentioned in the EcoSphere article but it should also be noted that the dividends of landscape protection in Greater Yellowstone have been enormous. The annual value of nature tourism to the region, for Yellowstone and Grand Teton parks alone and led by growing interest in wildlife watching, is more than $1 billion. If one adds in the value of outdoor recreation occurring on national forests, landscapes administered by the Bureau of Land Management and federal wildlife refuges, economists say nature supports yearly economic activity several times the number above. The attractiveness of the region also has fueled a multi-billion-dollar real estate industry, a flood of entrepreneurial-minded job creators, and a high quality of life enjoyed by most of Greater Yellowstone’s estimated 472,575 permanent residents. 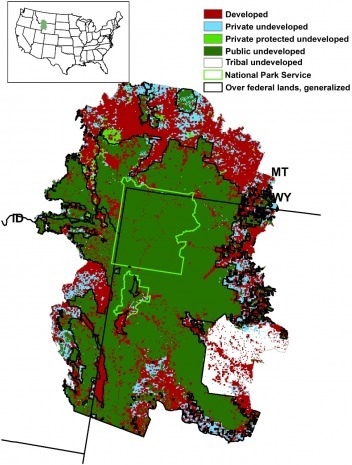 In 30 years, at current trends (which many demographers say are conservative) Greater Yellowstone will have around 850,000 permanent residents and a large number may also be living just at the ecosystem’s periphery. 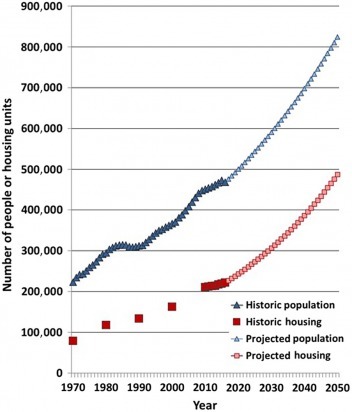 In 45 years the number of homes has tripled from 79,000 to 228,000. By 2050, that number will surpass half a million homes and corresponding footprints—such footprints being more impactful ecologically (and more costly for the public to service economically) the farther outside of urban boundaries they occur. On top of that, the paper highlighted the rapidly rising number of outdoor recreationists inundating public lands and, through advances in machine technology (ranging from motorized to mountain biking), being able to reach areas once beyond reach and to traverse them faster. River traffic, too, has swelled. From 1984 to 2016, angler days on the upper Madison River rose from 51,000 to 178,000, prompting the Montana Department of Fish Wildlife and Parks to consider implementing restrictions. This number does not include rapidly expanding numbers of non-fishing recreationists ranging from boaters to packrafters and stand up paddle boards. At what point does the phenomenon of humans loving Greater Yellowstone to death and trying to capitalize on its amenity values impair the very foundation of the nature-based economy, including its wealth of fragile, intangible wonders and sense of place that does not exist anywhere else? Meanwhile, even as ski areas have pushed expansion, many of them on public lands, to support their profitability and using it to bolster the value of their real estate plays at the base of mountains, climate trends are for markedly shorter seasons. And summers are going to be hotter, meaning more fires and impacts on wildlife. Large ungulates can be negatively affected by impacts to what they eat and where the food is found. As for water temperature, vital to the multi-million-dollar, cold-water recreation fishing economy: Stream temperatures have warmed across the region by almost two degrees over the past century. Stream warming during 2000–2009 exceeded that of the Great Dustbowl of the 1930s and represented the greatest rate of change over the past century. Stream temperatures are projected to increase another two to six degrees by 2069. Water corridors, ecologists say, are the richest and most important for wildlife in Greater Yellowstone. The vital signs tracking system used to identity such metrics, pioneered for use in Greater Yellowstone, is called the “Wildland Health Index” and it can be applied to other large wildland ecosystems in the U.S. Once again, Greater Yellowstone, as a high-profile reference point, is a leader in the 21stcentury study of how and why the wildest kinds of places can still persist. EDITOR'S NOTE: The impact of human pressure on Greater Yellowstone is the focus of The 14th Biennial Scientific Conference on Greater Yellowstone being held in Big Sky, Montana from Sept. 11 to 14. The title of the conference is "Tracking the Human Footprint" and features a world-class lineup of speakers. To learn more and register, click here.